After a satisfactory 2017-18 Serie A season, Napoli will be aiming to better their performance in the ongoing season. Napoli finished 2nd in the points table last season with 91 points, behind winners Juventus. In the ongoing season, they are 2nd with 18 points. 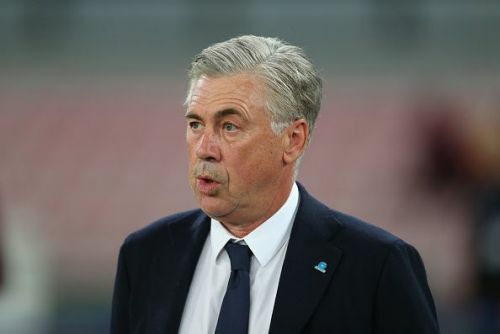 Napoli has appointed Carlo Ancelotti as their new manager after Maurizio Sarri left the Italian shores after the 2017-18 season. Ancelotti has stated that winning the Serie A title will be his first target. Under Sarri Napoli played an attacking game. Ancelotti has said that he too will adopt the same method, but his main aim will be to strengthen the team’s defense which at times has looked rusty while playing against some of the bigger clubs in the UEFA Champions League. Ancelotti has already set his sights on the Champions League where the team doesn’t have an impressive record. In the last Champions League season Napoli couldn’t make it to the last 16. The onus will be on Ancelotti to ensure that his side produces some determined performances so as to be on par with some of the big clubs in European football. Ancelotti and the Napoli team management have to ensure that the team stays consistent in every department. In the ongoing season, Napoli has made an impressive start by winning against Liverpool with a 1-0 scoreline in their group stage game. The 59-year-old manager also went on to say that Napoli has to be competitive during critical junctures of a game and shouldn't allow their intensity to drop. Ancelotti has also stated that Napoli has some immensely talented players who can give some of the big clubs in Europe a run for their money. We take a look at 5 such players who can play a crucial role for them in the ongoing season.